The people of Cape Verde are mostly a Creole mix of African and Portuguese, about 70% of the population. The remainder is mostly African with a small contingent of whites. The official language is Portuguese but Cape Verdean Creole is the most widely spoken language. However, the dialect varies from island to island and there is a movement to standardize the tongue. The people are mostly Catholic. 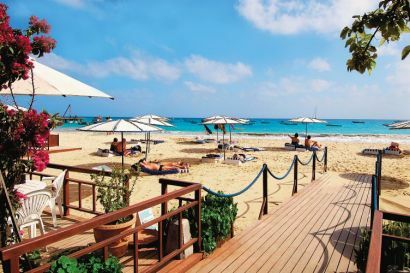 Cape Verde is a country of islands off the coast of West Africa with a lot to offer. Mount Fogo is an active volcano and the country's highest peak. This mostly Catholic country celebrates Mardi Gras with some huge street parties and a local rum-like drink called grogue. The island of Sao Antao offers hiking into amazing valleys and canyons. As an island nation with lots of oceanfront, there is windsurfing, snorkeling, and deep sea diving among other pastimes. Enjoy the moderate temperatures afforded by the breezes off the ocean, relax to the traditional music, and enjoy the local cuisine. Unlike many other African nations, Cape Verde is stable both politically and economically. 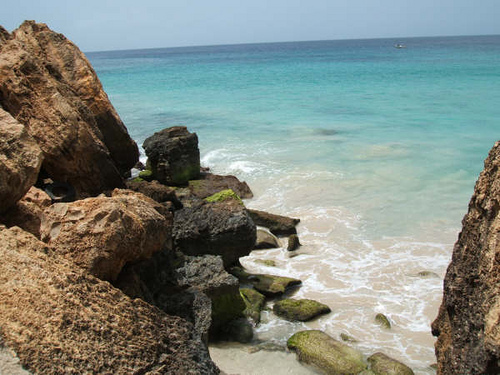 The Caribbean has nothing on Cape Verde. 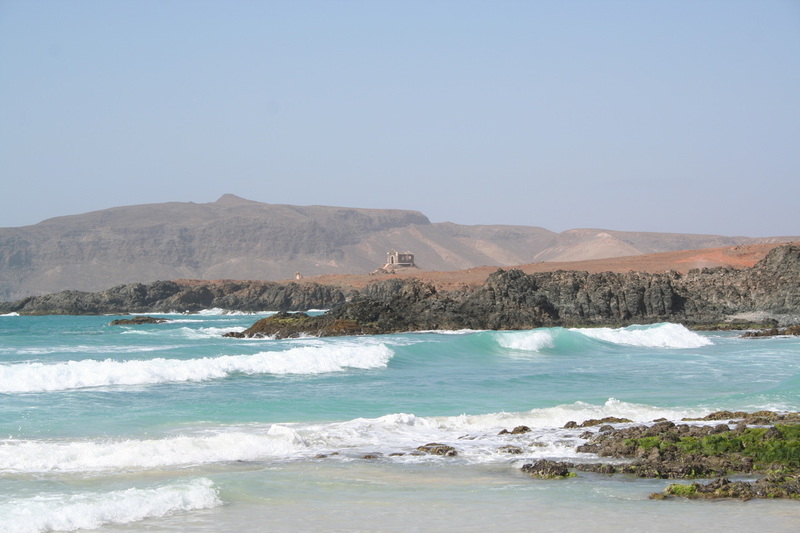 Cape Verde is composed of ten islands and eight islets comprising 2486 square miles (4000 km). They are divided into the Barlavento (windward), which is comprised of Santa Antao, Sao Vicente, Santa Luzia, Sao Nicolau, Sal, and Boa Vista and the Sotavento (leeward) islands of Maio, Santiago, Fogo, and Brava. Santiago is the largest island and is the home of the capital city, Praia. The islands have a mild climate averaging 77 degrees Fahrenheit in January to 84 degrees Fahrenheit in September. Cape Verde is part of the Sahelian arid belt and so has little rainfall and is considered a semi-desert. The islands are volcanic and mountainous. The islands of Sal and Maio have salt flats. Cidade Velha, the original Ribeira Grande, was named a World Heritage Site as the first European settlement in the tropics. Just a few miles from Praia, the town still features some of the original street layout and has two impressive old churches, and the remains of an old fortress and a Pillory with marble in the old town square. Cidade Velha was a clearinghouse for the slave trade and historical remnants remain. 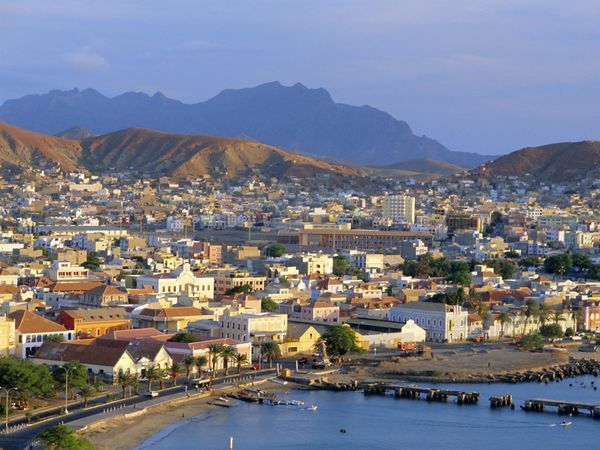 Praia may be the government capital of Cape Verde but its cultural capital is Mindelo. In the 19th century it was an important coaling station. Now it boasts friendly people and amazing street parties during Carnival. This is the best port in the islands, with many beaches and water sports to enjoy. On the island of Fogo is Mount Fogo, the highest point on Cape Verde and an active volcano. You can see the coffee being grown on the sides of the mountain, or visit the village that sits in the caldera. The last eruption was in 1995 but the only fatal eruption was way back in 1847. The Portuguese settled Cape Verde in 1462, making this the first European settlement in the tropics. The first settlement was Ribeira Grande, now known as Cidade Velha. 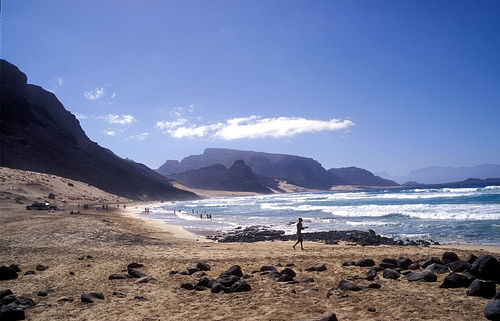 The Portuguese called the island Cabo Verde from which the English Cape Verde was derived. Throughout the 16th century the island figured prominently in the transatlantic slave trade. Pirates and buccaneers, including the sack of Ribeira Grande by Sir Francis Drake in 1712, frequently attacked the islands. Praia became the capital in 1770. As the slave trade died, so did the economy of Cape Verde. It perked up, however, as sailors realized that its position was perfect for the resupply of ships. Mindelo on San Vicente Island became an important commercial center in the 19th century. By the twentieth century there was a growing sense of nationalism in Cape Verde and other African colonies. Portugal changed the status of Cape Verde from a colony to an overseas protectorate in 1951 hoping to appease the nationalists. But, in 1956 Amilcar Cabral and others formed the African Party for the Independence of Guinea and Cape Verde. An armed rebellion by the PAIGC was carried out in 1960 and by 1972, PAIGC controlled Guinea, but not Cape Verde. Things changed after the April 1974 revolution in Portugal. The PAIGC began campaigning for the independence of Cape Verde and on June 30, 1975 a national assembly was formed. Cape Verde and Guinea Bissau considered becoming one country but those hopes were crushed by a coup in Guinea Bissau in November of 1980. At that point, the African Party for the Independence of Cape Verde rose to prominence and ruled the island until 1990. Since then, there has been a movement for democracy and a multi-party system. Nevertheless, the political system remains fairly stable. The nightlife of Cape Verde is mainly hotel based. Each hotel has its own lounge and local live music is abundant. You can find traditional music, European music, and upbeat Creole music. There are many discos, bars, and cafes, but Mindelo and Santa Maria are the liveliest. And of course, Carnival brings on the party. The average visitor will always find plenty to do on Cape Verde. 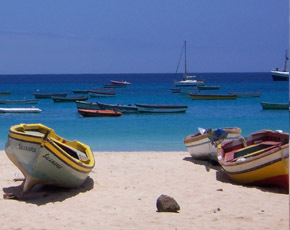 The people of Cape Verde are mostly Portuguese and Creole. They have a strong literary history of poets and authors writing primarily in Portuguese. Children are mandated to attend school from age six to age fourteen. There are many styles of music, the most notable being Morna. It is sung mostly in Creole and can be compared to the blues in style. Cape Verdeans also enjoy dancing both slowly and with great energy. Cape Verdeans are a social people. They might meet at a soccer game or while attending a church service. They visit each other back and forth, and in Cape Verde towns, it is traditional to walk around the prada, or main square. Since it is an island nation, fish and seafood feature prominently in Cape Verdean cuisine, even including pickled turtle eggs. Goat is also an often-used meat, for example in Tchassina, a salted goat meat normally eaten with a corn and bean stew known as cachupa. You might like to sample Diable Dentro, a pastry stuffed with tuna, onions, and tomatoes. Goat stew and bean stew are also common. Cape Verdeans enjoy local fruits, especially melon. Melon is either eaten alone, in a salad, or filled with fruit preserves. Desserts tend to be fruit, often served with a variety of local cheeses. There is no lack of tasty and interesting food on Cape Verde.